Our New Jersey attorneys represent creditors in debt collection matters brought in the United States District Court for the District of New Jersey. 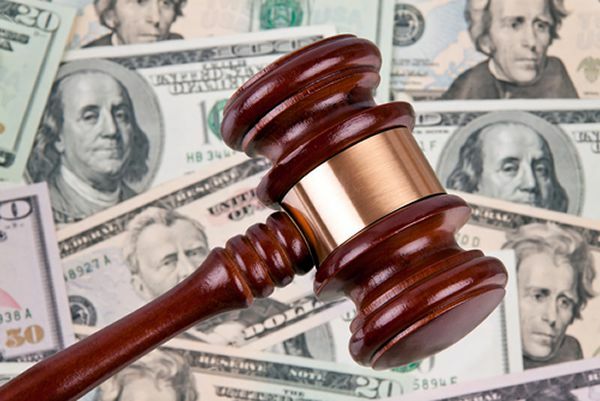 Generally, federal court jurisdiction is limited by the dollar amount of the damages sought. In order to bring a debt collection lawsuit in federal court the amount of the claim must be at least $75,000. In addition to handling the initial filing of collection claims in federal court, our experienced New Jersey debt collection lawyers also assists creditors in enforcing federal court judgments against businesses and residents who have assets or property located in New Jersey. The federal courts are the forum to decide cases prosecuted under the Fair Debt Collection Practices Act (FDCP), a federal law designed to protect consumers from abuse by debt collectors. LoFaro & Reiser represents defendants sued for violating the FDCP. For more than 25 years our New Jersey lawyers have represented creditors in federal bankruptcy court proceedings throughout the three district Bankruptcy Courts in New Jersey – Camden, Newark, and Trenton. Defending trustee claw back claims: Appearing in adversary proceedings to defend bankruptcy preference and fraudulent asset transfer claims. Deposition appearances: Defending witnesses in depositions issued in the context of bankruptcy court adversary proceedings. Bad faith dismissals: Prosecuting motions to dismiss Chapter 7, Chapter 11 and Chapter 13 bankruptcy cases for bad faith/abuse of the bankruptcy process. Lien avoidance defense: Defending actions brought by debtors and bankruptcy trustees to avoid judicial liens held by judgment creditors. Objections to discharge of debt: Prosecuting adversary proceedings against consumer debtors to object to the discharge of certain types of creditor claims predicated on fraud. Relief from automatic stay motions: Representing secured creditors such as lenders, financial institutions, automobile finance companies, equipment lessors, and factoring companies in motions for relief from the automatic stay to prosecute or resume litigation to recover collateral. Settlement agreements: Negotiating settlement agreements with debtors and trustees in Chapter 7, Chapter 11 and Chapter 13 bankruptcy cases. Subpoenas: Assisting businesses and individuals in responding to subpoenas issued by debtors and bankruptcy trustees, including filing motions to quash and/or limit subpoenas. Need assistance with a federal court collection matter or bankruptcy court representation? Contact our New Jersey law firm to discuss your case.